True Confession: I really do not like the big soft sugar cookies sold in the grocery stores. I know you know which ones I am talking about-the big round ones that have a big glob of frosting and usually some sprinkles. I know I am probably one of the few people on the planet that do not enjoy one of those cookies, but I never have. My husband and kids on the other hand love them. I know if my hubby sets foot in a grocery store we may soon have a package of sugar cookies at home. Homemade sugar cookies, on the other hand are a love of mine. But again another true confession: I don’t always want or have time to roll out the dough and cut out several shaped cookies. So, when I came across this recipe I knew it was meant to be. These sugar cookie bars and I were to never be apart again. 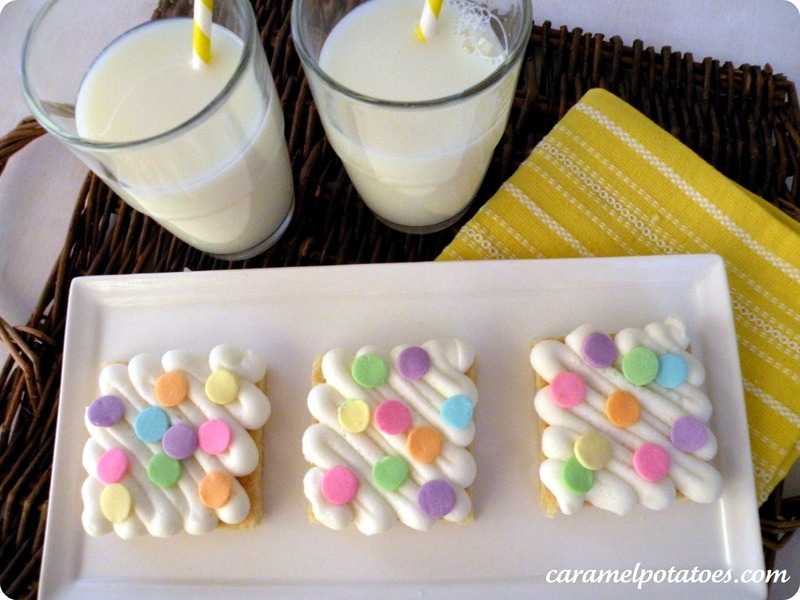 These are the easiest sugar cookies ever. Simply mix the dough and spread into a jelly roll pan and bake. There is no rolling pin necessary. LOVE!!! They are so moist and just the right amount of sweet. The cream cheese helps them to stay soft even the next day. So make them to share or not, because these are sure to be a hit! I usually frost the entire pan of cookies rather than individual squares, but for picture purposes doesn’t this look fun. My most favorite frosting for these cookies is Marshmallow Cream Frosting. Another good choice of course is always Flour Frosting. I hope that you enjoy these cookies as much as I do. 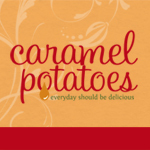 They are truly a favorite of mine and my family as well. Preheat oven to 350. Spray jelly roll pan (15x10x1) with cooking spray. In your mixer cream butter, cream cheese and sugar together. Add in egg and vanilla and mix until incorporated. With mixer on low, add in your dry ingredients: flour, baking powder and baking soda. Mix until just combined. Press dough evenly into your prepared pan. (dough will be sticky) Bake for 20 minutes until edges begin to golden. Cool completely before frosting. Cut into bars or squares and enjoy! Brilliant – makes me wonder why I didn’t think of doing this before!! I am going to make these this week! Thanks for the great idea! Cookie bars, such a great idea. Jim doesn’t like sprinkles or confetti because he doesn’t like most of his cookies to crunch. I get it, but he is the minority! Those look delicious!! I might have to try them. Thanks for linking to the party. Your recipe looks really good. 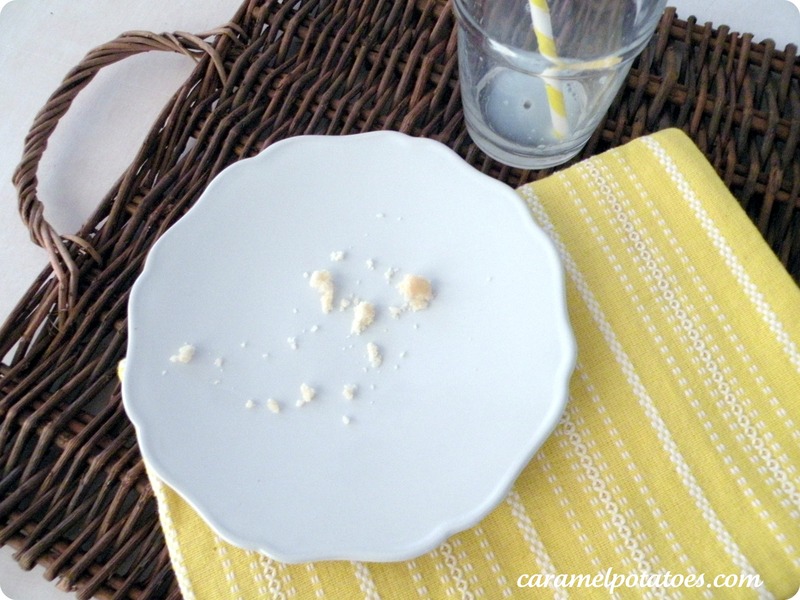 I would love it if you would share them on my new linky party, Dare to Share. Oh these look so sweet and delicious! So cute! 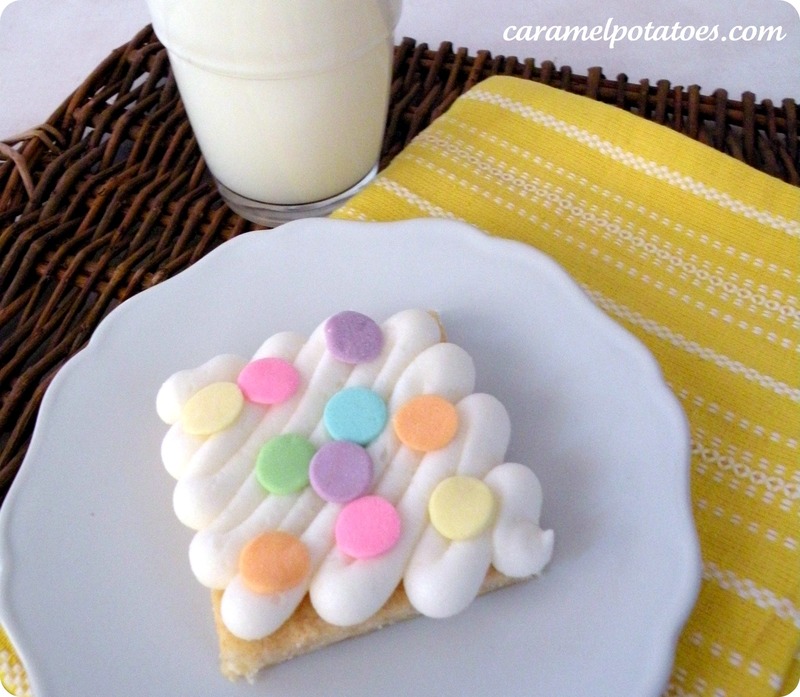 Thank you so much for linking up your sugar cookie bars to my Dare to Share party. I would love for you to come back this week and share some more fun ideas.